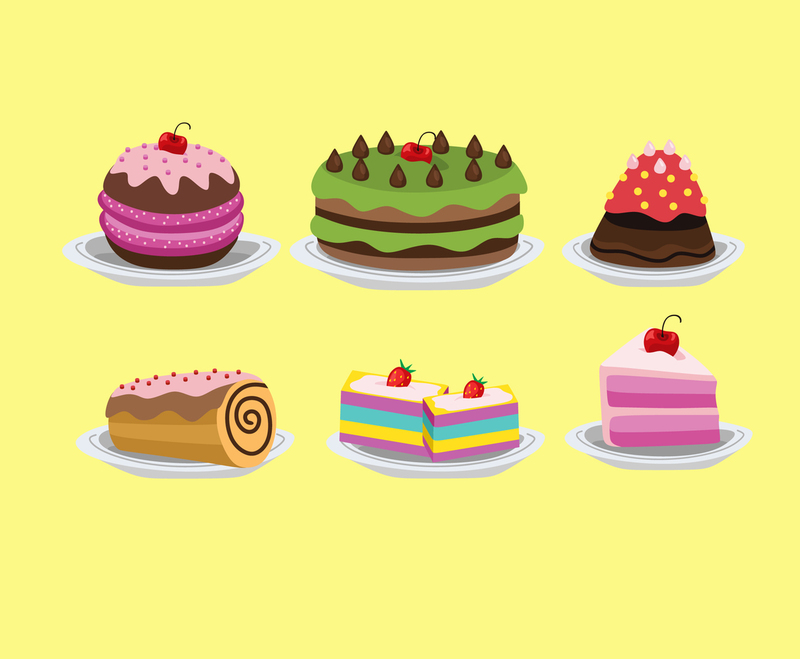 Several sweet cakes illustration in vector format. There are various kind of cakes illustration inside the set such as strawberry layer cakes, chocolate rolled cake and apple cream cake. This vector set can be great for birthday card design element or bakery shop promotional print design.